WILLISTON VT – Vermont has experienced 57 traffic fatalities so far in 2018. The Vermont State Police has planned a seat-belt campaign for the Thanksgiving weekend to help ensure Vermont’s roads are safe during this highly traveled period, and throughout the year. 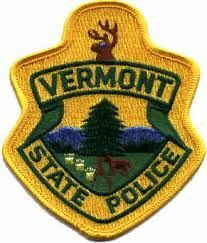 The Vermont State Police will be participating in the national “Buckle Up – Every Trip. Every Time” campaign and Operation C.A.R.E. (Crash Awareness & Reduction Effort) over the holiday period from November 21st to 25th. Operation C.A.R.E. is a national campaign in which police agencies across the United States join in the effort of reducing fatalities on our highways, particularly during national holidays when there’s an increase in the number of motorists on the roadways. The National Highway Traffic Safety Association (NHTSA) estimates that proper seat belt use reduces the risk of fatal injury to front-seat passengers by 45 percent, and the risk of moderate to serious injury by 50 percent.